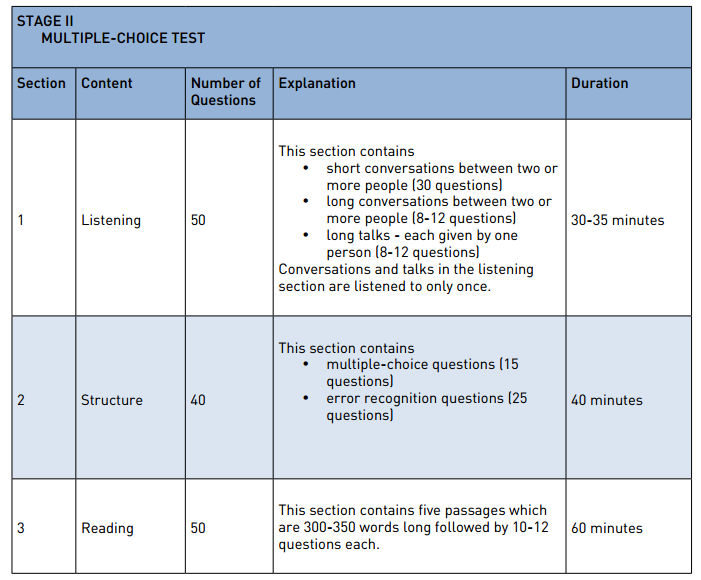 In this test, students are tested for their listening comprehension skills, basic structure knowledge and reading comprehension skills. The test lasts approximately for 2.5 hours. How can I access a sample multiple-choice test? You can access a sample multiple-choice test by clicking on the link below. You can access a sample answer sheet by clicking on the link below. How is the multiple-choice test scored? Each section of the test is scored out of 100. What is the passing score for the multiple-choice test? are added to the total score.